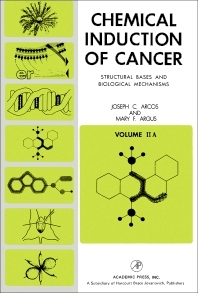 Chemical Induction Of Cancer: Structural Bases and Biological Mechanisms Volume IIA deals with the organic and biochemical principles behind cancer. This volume includes Part III of the work, which covers structure-activity relationships of chemical carcinogens, the effect of chemical reactivity, molecular geometry, and metabolism on carcinogenic activity. Under this is Chapter 5, which tackles conjugated aromatic systems.